Do you have trouble gaining respect at work? Do you just not have the intimidation factor necessary to have people do what you say? 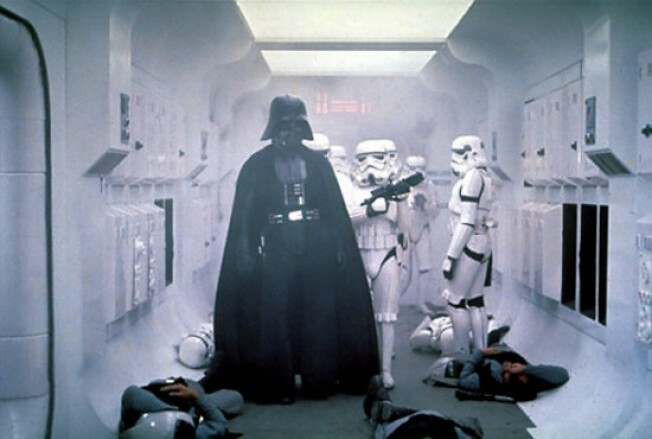 Well, here's a possible solution: an original Darth Vader costume used in The Empire Strikes Back. Yeah, that'll get their attention. The costume is going up for auction at Christie's in London and is expected to fetch between $250,000 and $365,000. Sure, that's a whole lot of money for a costume, but come on. Halloween is this weekend, and I'm pretty sure you'd put any other costume to shame with this thing. Worth it!